nsw | Welcome to Strathfield's Most Recommended Agents! Richard Matthews Real Estate are very proud to support Stillbirth Foundation Australia in The Sun-Herald City2Surf. Every cent raised goes towards vital research and education in the prevention of stillbirth. Thank you in advance for supporting this amazing cause. Together we will make a difference. Sydney’s auctions are running hot this spring with the latest clearance rate another strong result at 80.6%. 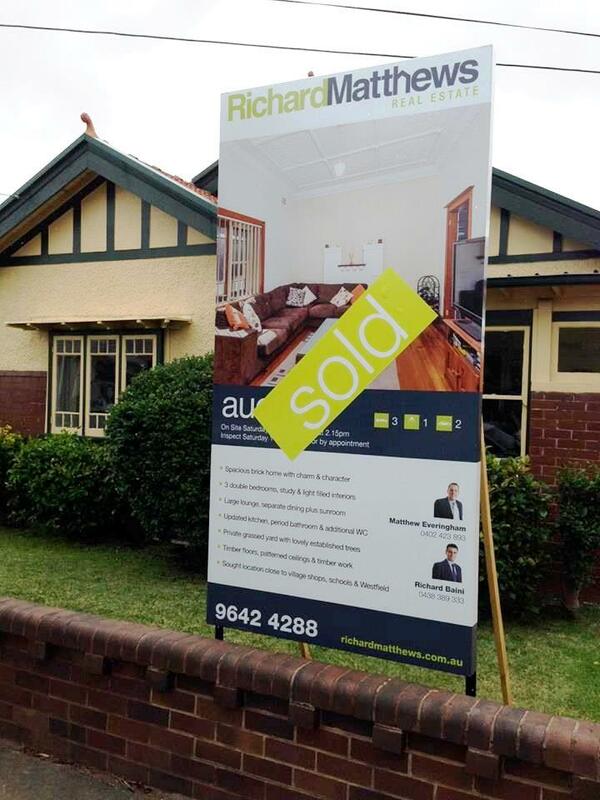 * Richard Matthews has had an Auction Timetable jammed with vendors keen to take advantage of these eager buyers. Properties have been so popular many have been snapped up prior to auction, such as the unit at 48/8 Wallace St, Blacktown, which sold the day before the scheduled auction. The team has sold numerous units in this block, three in the space of just two weeks. Then on Saturday the team set a new record price for the block with the auction sale of unit 50 for $345,000. 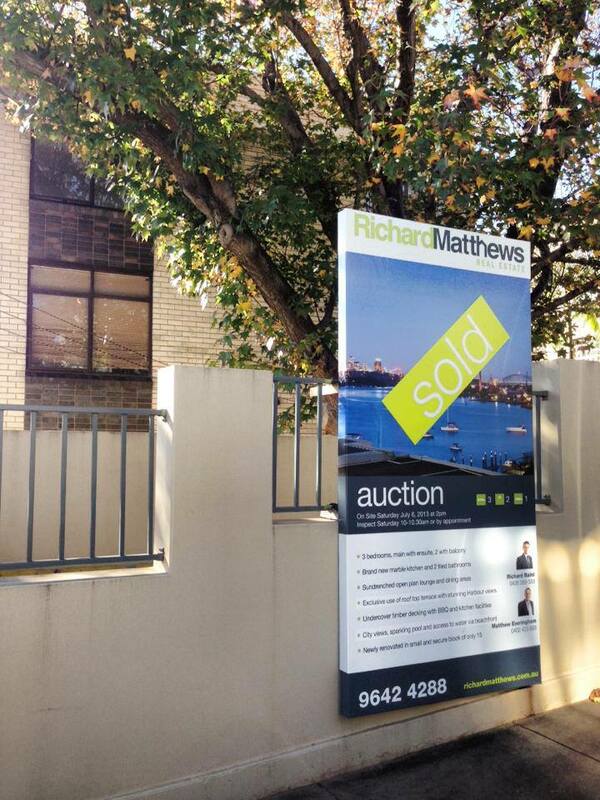 Richard Matthews have been successfully selling property across the whole of Sydney. The suburb of Croydon has been bustling with activity. On November 2nd the team sold a two bedroom, one bathroom apartment at 7/148 Edwin St North for $593,500 eclipsing the reserve price by $33,500. 5 Badminton Road sold prior to auction for a massive $1,510,000. Most recently a modest three bedroom, one bathroom bungalow at 26 Scott Street sold at auction for $1,051,000. Demand for quality property is high in this seller’s market. This could be your optimum time to sell. If would like to know what your property could be worth, or would like exclusive news on properties about to hit the market contact Richard Matthews Real Estate online or on 9642 4288. Directors Richard Baini and Matthew Everingham are your friendly property experts who love to give their clients the attention and result they deserve. *Figure source: Australian Property Monitors, Dr Andrew Wilson, November 16, 2013. When meeting a client for the first time we are often asked ‘how should I sell?’ and although every client’s situation and property is unique, an auction does have key advantages over a private treaty campaign. Firstly, unlike a private treaty sale an auction has a ‘sale date’ which creates an instant sense of urgency. Sometimes the pressure of the looming auction date encourages a buyer to purchase the property prior to auction, often for more than anticipated. The recent sale of an apartment at 14/98a St Georges Crescent, Drummoyne by Richard Matthews Real Estate for $910,000 was well above the vendor’s expectations. Competition amongst Sydney buyers is fierce right now with auction results often exceeding reserve prices. Sydney’s latest auction clearance rate on July 13 was a stellar 81%. Over the first quarter of this year the proportion of sales by auction across Sydney was 16.1%, a considerable improvement from 13.4% in 2012. Private treaty sales are perceived as safe, with a set price that is often printed in the advertising. Yet if it had gone to auction there is always a chance your property could have sold for higher than expected, but you will never know. In contrast, when a property goes to auction the sky is the limit. The reserve price is a safety net ensuring your property won’t be sold until a minimum is reached. If you sold at auction now, with the current market conditions and a crowd filled with keen bidders, you could be very surprised by the sale price. Want to learn more about auctions, your property and sales performance in your local area? Contact real estate experts Richard and Matthew today at Richard Matthews Real Estate – apply online or call 9642 4288.